These S’mores cinnamon rolls are full of melty chocolate, gooey marshmallows and graham cracker goodness. I believe that baking with yeast is probably my favorite way to spend some relaxing time in the kitchen. I know it scares some people, but yeast is quite forgiving. Instead of needing specific ratios of fat, proteins and certain levels of acidity for chemical leaveners to work(baking soda and powder), yeast will happily grow with a bit of this and a pinch of that. I guess I say all that to tell you not to be scared of making seemingly difficult recipes like these S’mores Cinnamon Rolls. While the ingredient list may be long, the dough recipe is a tried and true favorite that is very forgiving. And who would want to miss out on these ooey, gooey, chocolately S’mores Rolls because they were scared of yeast? These S'mores cinnamon rolls are full of melty chocolate, gooey marshmallows and graham cracker goodness. Punch the dough down and need a few times until smooth. Combine the 1/2 cup brown sugar and 1 tablespoon cinnamon. Roll the dough into an 10 by 18 inch rectangle. Spread the 4 tablespoons of butter on the dough. Sprinkle with the cinnamon sugar mixture, and then the graham cracker crumbs, chocolate chips and marshmallows. Roll up tightly starting on the short edge. Using thread or a very sharp knife, cut the log into 8 or 9 rolls. 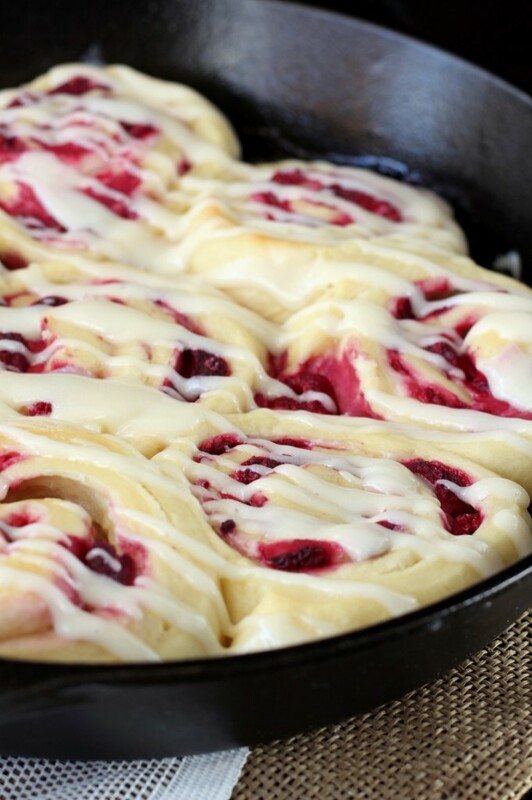 Place them in a greased 10 inch baking pan. Bake at 375 F for 15-16 minutes or until lightly browned. You think baking with yeast is relaxing?!!! It gives me a panic attack every time!! Teach me your ways! I haven’t made cinnamon rolls in so long – and smore’s ones are perfect to shake off this cinnamon-roll strike I’ve unconscious;y been on! 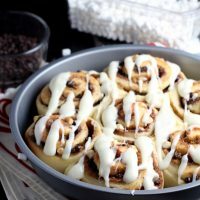 S’mores cinnamon rolls are one of my favorite breakfast treats! These look perfect! 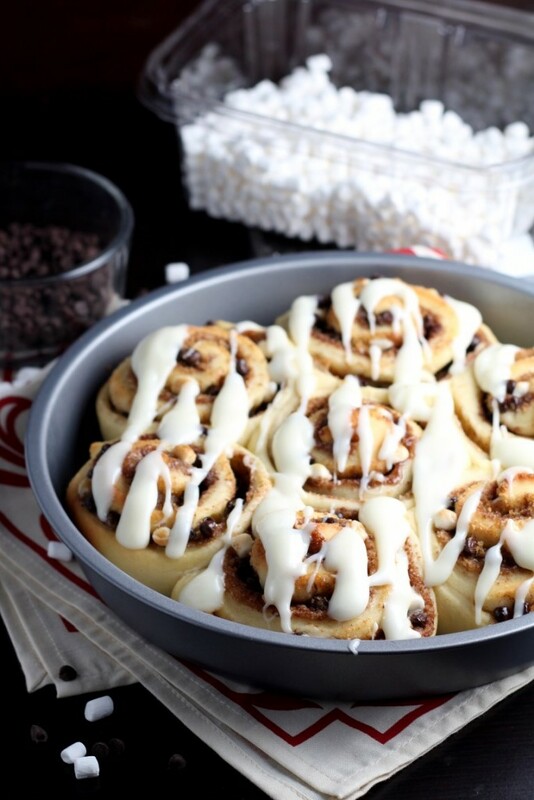 I am one of those people that is rather scared of yeast but after seeing these Smores rolls, I need them in my life! Oh wow! These look yummy!!! 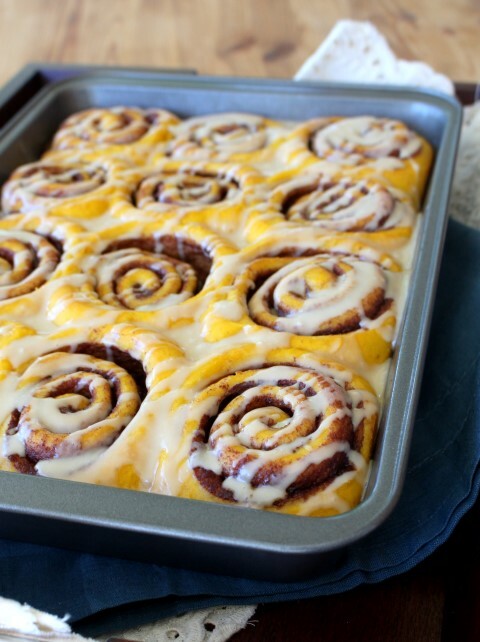 These look like the perfect way to welcome me to the breakfast table! Pinning for sure.